Ease your way into a life of spa luxury with this break-through textbook. SPA The Official Guide to Spa Therapy at Levels 2 & 3 details the latest spa treatments and everything you need to know to succeed in this booming industry. Ease your way into a life of spa luxury with this break-through guide to the latest spa treatments and everything you need to know to succeed in this booming industry. 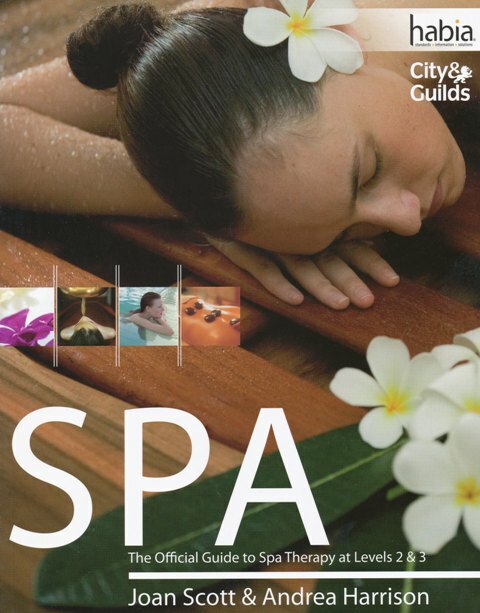 As the first and only spa guide mapped to the current occupational standards, SPA: The Official Guide to Spa Therapy at Levels 2 & 3 uses full colour step-by-step photographs taken in real spas to walk you through every key topic. Special learning features help fine-tune your learning, while the Habia endorsed content ensures this is the only guide which gives you a complete and professional introduction to the irresistible world of spa therapy.